Peter Etebo and Benik Afobe scored the goals for Nathan Jones' side. Wolverhampton Wanderers due Sam Vokes transfer fee? Wolverhampton Wanderers could reportedly be in line for a £2.4m bonus if Burnley agree to sell striker Sam Vokes to Stoke City this month. Wolves head coach Nuno Espirito Santo to target new striker in January? Wolverhampton Wanderers head coach Nuno Espirito Santo is reportedly keen to sign a new striker during the January transfer window. Aston Villa make it two wins from two with a last-gasp winner against Wigan Athletic, while at the other end of the table Stoke City are stuck on one point. Burnley to make late move for Stoke City forward Peter Crouch? Burnley are reportedly weighing up an approach for Stoke City forward Peter Crouch before the end of the summer transfer window. Stoke City boss Gary Rowett criticises his players for failing to turn up as they suffered a 3-1 loss to Leeds United in their Championship opener. Leeds United head coach Marcelo Bielsa enjoys the perfect start as the Yorkshire side register a 3-1 win over Stoke City in Sunday's Championship fixture. Relive Sports Mole's live coverage as Leeds United ease to a 3-1 win over Stoke City in Sunday's Championship fixture at Elland Road. Benik Afobe hits out at Wolverhampton Wanderers for being "disrespectful" after signing him then selling him on to Stoke City just 11 days later. Mick McCarthy: "Stoke City are favourites to go back up"
Former Ipswich Town manager Mick McCarthy believes that Stoke City are favourites to earn promotion from the Championship next season. Stoke City complete £12m signing of Tom Ince from Huddersfield Town. Stoke City fail with bid for Napoli defender Vlad Chiriches? Championship outfit Stoke City reportedly fail with an approach for Napoli defender Vlad Chiriches. Wolves close to signing Manchester City midfielder Oleksandr Zinchenko? Wolverhampton Wanderers are reportedly looking to complete a club-record deal for Manchester City youngster Oleksandr Zinchenko. Managing director Laurie Dalrymple suggests that Wolverhampton Wanderers are 'not planning on doing a huge amount' during the remaining weeks of the transfer window. New Stoke City forward Benik Afobe says that manager Gary Rowett played a significant role in attracting him to the bet365 Stadium. Wolverhampton Wanderers announce that Benik Afobe has joined Stoke City on a permanent basis, despite only returning to Molineux earlier this month. Stoke City boss Gary Rowett reportedly wants to sign Newcastle United striker Dwight Gayle and Wolverhampton Wanderers forward Benik Afobe this summer. Wolverhampton Wanderers will reportedly announce the signings of Sporting Lisbon goalkeeper Rui Patricio and Benfica forward Raul Jimenez next week. Wolverhampton Wanderers opt against deal for Villarreal's Alfred N'Diaye? Wolverhampton Wanderers reportedly decide against exercising an option to sign Villarreal midfielder Alfred N'Diaye on a permanent deal. Stoke City move closer to signing Wolverhampton Wanderers forward Benik Afobe? Stoke City are reportedly in 'advanced talks' to sign Wolverhampton Wanderers forward Benik Afobe, less than a week since the player left Bournemouth for Molineux. New Stoke City boss Gary Rowett is reportedly hoping to sign Wolverhampton Wanderers forward Benik Afobe and West Bromwich Albion winger James McClean this summer. Wolverhampton Wanderers may reportedly sell Benik Afobe to Stoke City for a profit just days after signing him from Bournemouth in a £12.5m deal. Wolverhampton Wanderers take up options to sign Benik Afobe and Willy Boly on permanent deals. 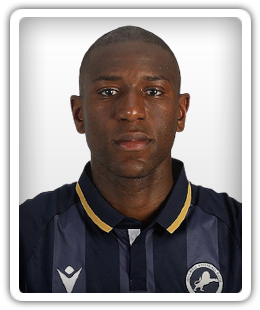 Wolverhampton Wanderers complete deal for Benik Afobe? Wolverhampton Wanderers reportedly complete the permanent transfer of Bournemouth forward Benik Afobe, who spent the second half of the season on loan at Molineux. Bournemouth striker Benik Afobe will swap Bournemouth for former club Wolverhampton Wanderers in a £12.5m deal, according to a report. Wolverhampton Wanderers reportedly agree to pay £10m to land defender Willy Boly on a permanent deal from Porto. Bournemouth forward Benik Afobe waiting on Wolverhampton Wanderers decision? Bournemouth forward Benik Afobe is reportedly waiting on Wolverhampton Wanderers to decide whether they wish to sign him ahead of the club's return to the Premier League. Benik Afobe says that Wolverhampton Wanderers are capable of finishing in the top half of the Premier League next season. Benik Afobe insists that he is not thinking about where he will continue his career, with the Bournemouth forward currently on loan at Wolverhampton Wanderers. Wolverhampton Wanderers managing director Laurie Dalrymple suggests that the club could make a 'spending statement' on their return to the Premier League. Wolverhampton Wanderers secure the Championship title thanks to a 4-0 win at Bolton Wanderers, while Sunderland are relegated with a 2-1 home loss to Burton Albion.